I went out today in search of 2014 Topps Baseball Series One. Wal-Mart... moved the cards on me, but had the 72 pack and the rack pack. Fanfare... had the jumbo hobby packs. I chose a 72 pack and a rack pack from Wal-Mart. I chose a jumbo hobby pack from Fanfare. I went to Meijer. I did some shopping for dinner tonight. Tacos, if you must know. I ran into a co-worker there. He had just gotten off of work. I was off today. We chatted about the light truck that came in today. I joked that there wouldn't be anything for me to do when I got there in the morning. He informed me that another one of our co-workers was lurking about in the store, since they came together. Then I went looking for Meijer's card section. There was a nice selection a few weeks ago, along the back wall, by toys and sports. Some thoughtful employee moved it and the new location has yet to be discovered, despite my best efforts. Oh well. It was not meant to be today. I went to the self checkout. I had exactly 12 items, so it was alright. I scooped up the purchases and went to brave the immense cold in the parking lot. More snow was in the forcast for this morning, but luckily, none of it came to fruition. Are you impressed with my delaying tactics? I opened the 72 pack from Wal-Mart first. The first actual card was Yu Darvish. Not only did the 72 pack reveal Dayan Viciedo, but more treasures awaited. Buehrle stopped by! A bonus card for my player collection! That was a nice surprise! My third White Sox card! I turned my attention to the hobby pack from Fanfare. My first Erik Johnson White Sox card! That brings my total to five White Sox cards. That is half of the series one team set. The hobby pack yielded one last surprise and it was completely off my radar before feasting my eyes upon it. Another card for my player collection!! I usually don't get my hopes up for finding Jason Frasor because he's a middle reliever. It's official. The White Sox are now the only team unrepresented in the Jason Frasor repertoire. I'd say that these packs were great for my collecting parameters. 2014 is off to a great start! Daniel was drafted by the Toronto Blue Jays in 2009 in the 18th round. He spent time in rookie and class A ball in 2010 and 2011. Webb was traded to the White Sox, along with pitcher Myles Jaye, when Jason Frasor headed back to Toronto on January 1, 2012. He was at Kannaplois class A in 2012. Daniel ran through Winston-Salem class A, Birmingham class AA and Charlotte class AAA, before making his MLB debut with the Sox in 2013. Webb's first game was on September 4, 2013, against the New York Yankees. He pitched the seventh inning, giving up a run when Derek Jeter scored on a sacrifice fly by Alfonso Soriano. Jeff Keppinger made an unassisted double play at first base off the bat of Curtis Granderson to end the inning and the leadoff walk to Jeter was the only scoring done by New York during Daniel's inning. Webb made a total of nine appearances for the ChiSox in 2013, improving in most outings. His only real blemish came in a game on September 10, 2013, against the Detroit Tigers, where Daniel allowed four hits and two runs in the ninth inning of a game the Sox were already losing by six. While his first three outings were strikeout free, Webb's last six appearances yielded ten strikeouts, averaging a little under one strikeout per inning over all nine games. Daniel earned his first hold in his last 2013 appearance on September 28th, against the Kansas City Royals. Webb has the potential to be an integral part of the bullpen, if he can capitalize on the success of his brief tenure on the parent club. Nothing beats the feel of a vintage card, especially one that is a century old. Many tobacco issues look very similar. That is the one drawback regarding most tobacco cards. Varying designs wasn't something that popped up until much later. Sure, there were always exceptions, but the majority were plain and simple. I think that is part of the appeal. 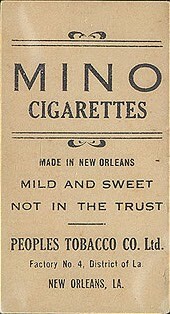 There is a simplicity of days long ago trapped in the design of each tobacco card. It's an assurance of instant nostalgia. Even if most of us were not even born yet, these are designs that are engrained into our collective minds. People's Tobacco put out a set with three different backs. The Mino Cigarettes featured here, Virginia Extra Cigarettes and Kotton Cigarettes. The checklist is the same for all three backs. The White Sox have three cards in the set. The most interesting player in the set is Ray Demmitt. 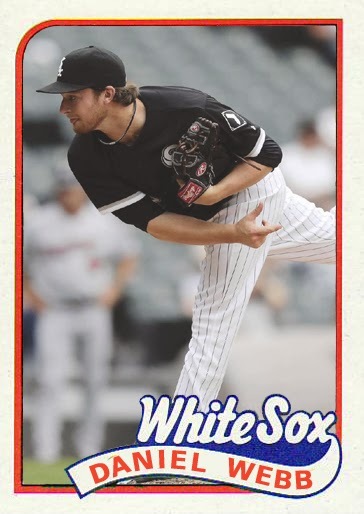 It's not because Demmitt had a great career, but because Collins and Dougherty are heavily featured on cardboard in a White Sox uniform. 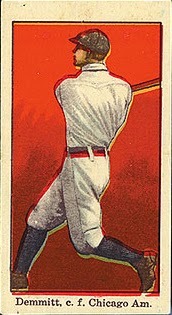 Ray Demmitt only played in 155 games for the Pale Hose, 146 of those games were in 1914. The remaining nine games were in 1915. Ray started with the Highlanders and went on to the Browns and the Tigers. While Demmitt has other cards, most will feature him with St. Louis. These do remind me of other lesser tobacco releases of the era and that's not a bad thing. You mean Masahiro Tanaka chose the biggest truckload of money rather than a team besides the Yankees? You can't wrap your head around that? When you're talking about a minimum nine digit contract, going for the biggest payday can seem a little excessive and tacky. Like it or not, the Yankees are one of the few teams that can throw insane amounts of money at a position and overpay for needs, wants and luxuries. Does this make them an automatic lock for the World Series? Hardly. It doesn't even make them a lock for the playoffs. The Yankees have a few more holes to fill before they can become a well rounded team and one man (no matter how good he is, unless his name is Bugs Bunny) can win a game all by himself. The Yankees won't be the dominant force that some people think they will be with Tanaka in tow, nor will they be the 1972 Phillies with Masahiro Tanaka playing the role of Steve Carlton. Somewhere, a middle ground will play out. One thing that will be for certain, Tanaka will not repeat his past season's amazing run. Will he be good? Yes, he should be. Will he be the second coming of Cy Young? Doubtful. I expect the rest of MLB to catch up with Tanaka around June, if not sooner. If he's a smart pitcher, he will make adjustments. I expect Masahiro to break down at some point during the duration of this contract. The Eagles excessively used him in Japan. It will be a miracle if he doesn't experience some arm issues. Mind you, this is just pure speculation. Tanaka could be the rare gem that pitches a lengthy career with no major speed bumps. If that happens, it would be awesome and a nice coup for the Bronx Bombers. Chances are his career will not be that smooth. Unfortunately, baseball is a team sport and you are only as good as the team around you. Masahiro could be lights out and throw no-hitters every start in the Yankee pinstripes. Just ask Andy Hawkins how easy it is to lose a no-hitter for the Yankees. The truth is we haven't seen Tanaka play in the majors yet. Time will tell how good he will be. Is he worth the money laid out? Not really, but I don't think any player is worth that much. I guess in a roundabout way, I'm just trying to say, keep calm, let things play out and enjoy the ride. 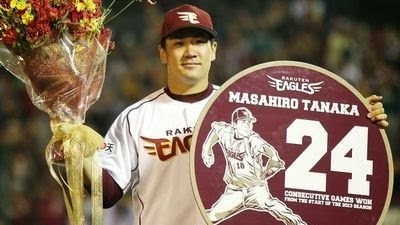 However Tanaka fares in MLB, it should prove very interesting. Leury made the Rangers roster in 2013 as a utility player, seeing action in twenty-five games before being sent down to AAA in mid-June. 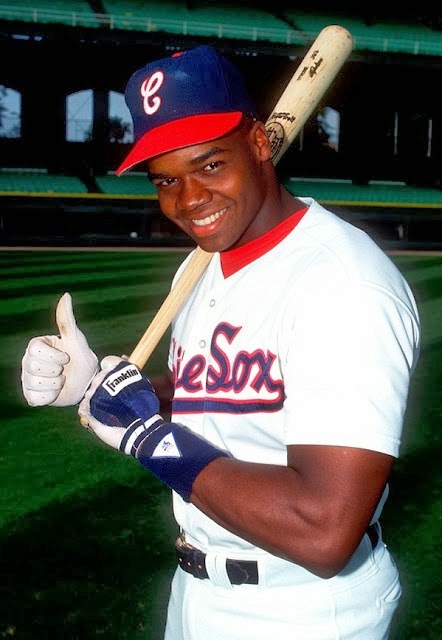 He mostly gained experience from the opportunity, collecting ten hits in fifty-seven plate appearances. 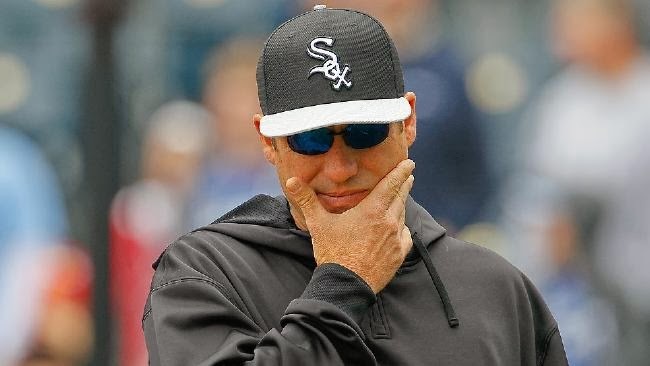 On August 11, 2013, Garcia was traded to the White Sox to complete the Alex Rios trade, made two days earlier. Leury made the most of his first appearance in a White Sox uniform, on August 23rd, against his former team, the Texas Rangers. In the bottom of the eighth, Leury pinch hit for Avisail Garcia, and accounted for the only hit by the Pale Hose in that inning, with a line drive single to right. Garcia then replaced Gordon Beckham at second base for the remainder of the game. Leury can play multiple position in the infield and outfield so his playing time should increase in 2014. I have long admired the career of the true MLB Home Run King, Hank Aaron. I've enjoyed following the Brewers, even when they were pitted against my White Sox in the same league. I've always thought the history of the team was fascinating, from their beginnings in Seattle to their move to the National League. Well before they became division rivals of the Cubs, I was digging the classic yellow and blue combinations of their uniforms. Plus I've liked the old Brewers batting helmets since I found out Carlton Fisk wore one in the 1972 All-Star game. The colors pop on this card against a watercolor sky. 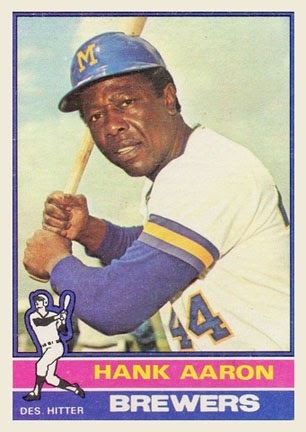 Hank Aaron's name demands recognition against the only pink on the card. The still new paint fresh position of designated hitter is displayed prominently under the cartoon graphic. Hammerin' Hank looks like a man who has seen and accomplished a lot in his career. He is in the final stages of his MLB journey here, but you can still see the steely-eyed focus and the determination to make every at-bat count. Even posed, Aaron looks impressive at the invisible plate. This just has the perfect combination, in my estimation, to be my favorite Milwaukee Brewers card. There is nothing that should jump out and grab your attention about this set. It is simplistic in nature and somewhat muted in palette. The mostly posed photographs almost scream nostalgia. I am not certain if the effect is created by the cards themselves or the length of time the set has been in our consciousness. this set is almost a marquee-less answer to 1952 Topps. Unobstructed by names, team logos and star lined boxes, the focus is ultimately drawn to the photograph itself on each card. Other Bowman releases in the fifties may have more notoriety, but not many match a set which rivals the look of tobacco releases but uses a larger canvas with better photography (in most cases) and manages to improve on previous Bowman releases by showcasing the subject and leaving the information squarely on the back of the card. The White Sox have eleven cards in the set. 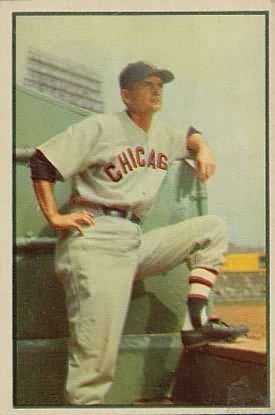 From Paul Richards stoic dugout pose to Minnie Minoso's cuddly pose to Hector Rodriguez and Nellie Fox joyfully posing in mid throw, this set has personality and things not normally seen in competitor Topps' head shots. While this doesn't necessarily capture realistic action like witnessed on recent cards, this is closer than a set shown from the neck up. With the exceptions of Fox and Minoso, most of these cards can be picked up for a song, if you are patient enough. Jake was selected by the Chicago White Sox in the second round of the 2010 draft out of Indiana State University, sandwiched in between first round pick Chris Sale and third round pick Addison Reed. While moving through the Pale Hose farm system, Petricka suffered a setback due to a back injury and was switched from starting pitcher to relief. The switch enabled Jake to crack the majors in 2013. Petricka made his MLB debut on August 22, 2013, relieving David Purcey in the bottom of the eleventh inning, facing Kansas City catcher Salvador Perez and getting him to ground into an inning ending double play. Conor Gillaspie homered to lead off the twelfth inning and Addison Reed nailed it down to ensure Jake would win his first MLB game in his first appearance. 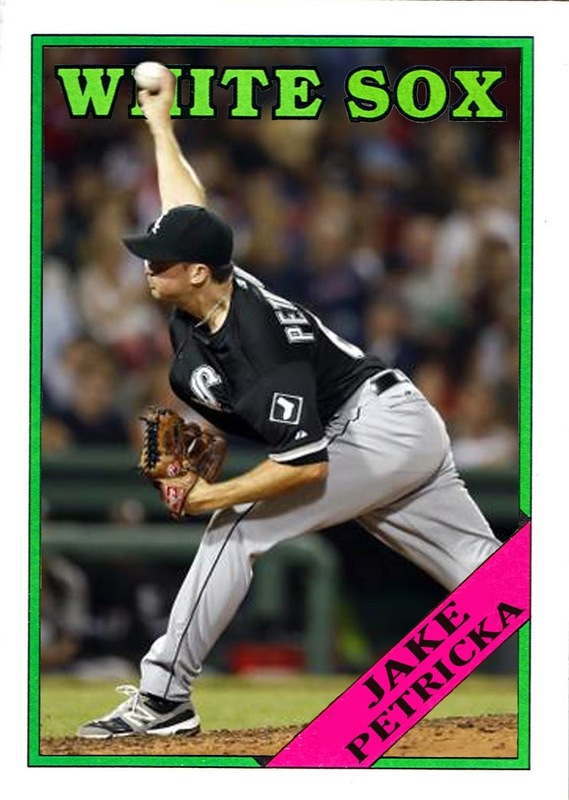 Petricka appeared in sixteen games for the ChiSox in 2013 and has put himself in a good position to be a part of the bullpen in 2014. 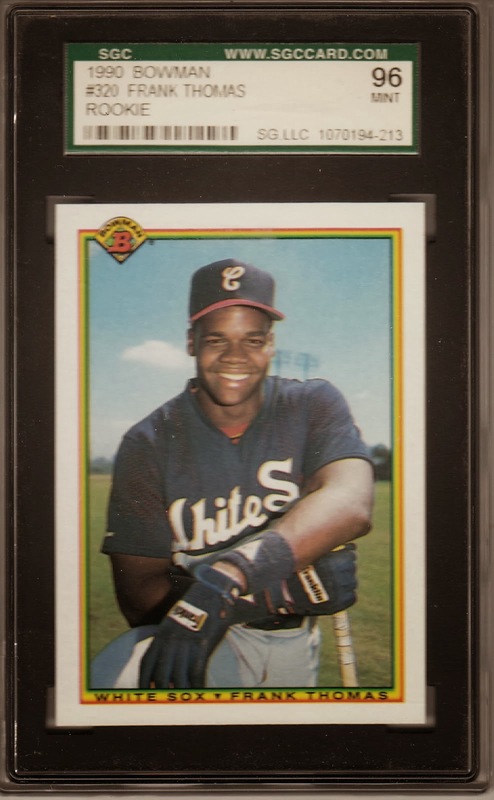 Win A Graded Frank Thomas Rookie Card! Go on over to Dodgers Blue Heaven and possibly win this card! Contest is over and winner has been announced. Here we go again with another round of Bowman Draft Picks and Prospects. New year, new faces, same lovable flavor. There is no tension. No drama. No surprises. The design is remarkably similar to the last few years, so much so that it takes more than a quick glance to decipher the year. This is not necessarily a bad thing. Brand recognition is a good thing. Bowman definitely has that. Repetition of basic design year after year is not such a great thing. Bowman has an identity crisis as a brand. It has a clear cut goal of being the place to find rookies. It does a very good job at that. Rookies abound throughout each set. I believe that Bowman would do much better as a straightforward release. Cut down the parallels (or get rid of them all together). Throw the Chrome parallels away and keep them in Bowman Chrome, where they belong. Have a base set, maybe a few inserts and an autograph parallel of each base card. I think that would clean up Bowman nicely. I could do without the Draft Picks and Prospects standalone set. Isn't that what the Bowman set is supposed to be anyway? If there has to be a Draft Picks set, (and I've said this before) make it a different design from the Bowman flagship set. It may sound like I have a hate of Bowman. I really don't. I like Bowman. I see what it could potentially be and I love the tools it has at its disposal. I do not like the execution of the Bowman sets. There is a lot of wasted opportunity, in my opinion. It is bogged down with shiny distractions and needs to get back to basics. 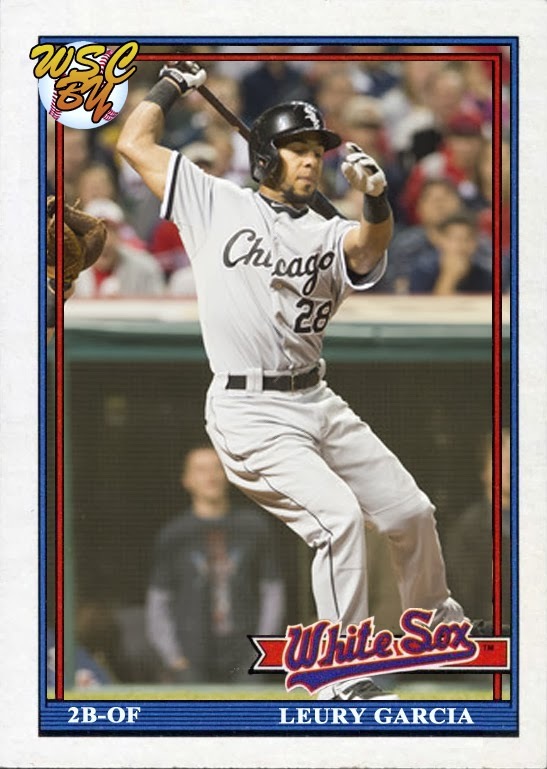 The White Sox have seven cards in the set. It breaks down to three base cards, three chrome cards and an insert. The White Sox cards in this set are not difficult to collect and that is a major plus in a set riddled with left turns and rainbow chases. There are blue, orange, red, black, silver ice, red ice, purple ice, black ice, cyan printing plate, magenta printing plate, black printing plate, yellow printing plate, chrome, chrome refractor, chrome blue refractor, chrome green refractor, chrome gold refractor, chrome black refractor, chrome orange refractor, chrome red refractor, chrome superfractor, chrome cyan printing plate, chrome magenta printing plate, chrome black printing plate and chrome yellow printing plate parallels that make up the 220 base set. In order to get every card of Josh Phegley, you will need the regular base card and the twenty-five different parallels. I'm not sure if I want twenty-six different variations of the same Josh Phegley card. Do you? Congratulations on your election to the Hall of Fame. While some may have doubted that you would be a first time entry, no one could deny that you belonged there. I was one of the faithful that had a feeling you would get elected on your first try. I've been following your career from the "don't believe the hype" motto that was instilled in you early in your career through your contributions to a world championship season and beyond. Careers have ups and downs and highs and lows. White Sox fans have been with you the entire way. I am proud that you were my first WSC Hall of Fame member, voted on by the readers, and now I am proud that you are a member of Cooperstown. Thank you for the thrills. Thank you for staying in Chicago for the majority of your career. It was an honor to watch you play.